In the proposed laws to replace the ISA, the government must balance, and balance it well, the state’s duty to protect national security with a citizen’s cherished liberty and human right of access to courts. I JUST turned half a century old yesterday. 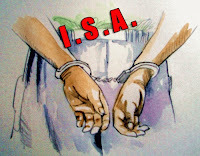 But the Internal Security Act, 1960 (ISA) is older still. 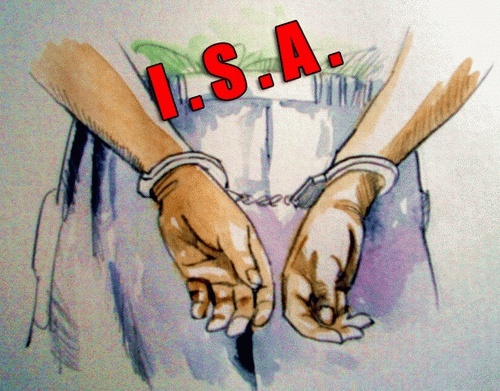 When the Emergency Regulations 1948 ceased after the proclamation of emergency ended on July 29, 1960, Regulation 17 was transplanted into a new statute, called the ISA which came into force on August 1, 1960. But the ISA is not the only preventive law in Malaysia. The other two laws are the Emergency (Public Order and Prevention of Crime) Ordinance 1969 (EO) and the Dangerous Drugs (Special Preventive Measures) Act 1985 (DDA). The EO, which came into force on May 16, 1969 after the May 13, 1969 riots, allowed the minister to detain without trial any person for up to two years in the interest of public order or in order to suppress violence or prevent crime. Currently, there are few hundreds of detainees placed under the EO. On the other hand, the DDA, which came into force on May 30, 1985, allowed the minister to detain without trial any person involved in drug trafficking for up to two years. The reason why these preventive laws still exist today and have not been invalidated by our courts is simply because they are permitted under Articles 149 and 150 of the Federal Constitution even though they are inconsistent with the fundamental liberties provisions stated in Articles 5, 9, 10 and 13 of the Constitution. In this respect, Prime Minister Datuk Seri Najib Tun Razak should be commended for his bold move to repeal the ISA and the EO. He also announced that the repeal would only take place in the March parliamentary session to allow the new laws replacing the ISA to be tabled simultaneously. There is no denying that the promise made by Najib on his address for Malaysia Day would be followed closely by Malaysians. They will obviously not take kindly if this promise is not executed before the next general election. In fact, the nation still awaits the government’s plan on how to translate into legislative effect the Cabinet’s decision made on April 23, 2009 that a child’s religion must be in accordance with the common religion at the time of marriage in the event one of the parents opts to convert to Islam. Similarly, the country will now keenly await the actual wording of the two draft laws said to replace the ISA. The present government owes it to the next generation particularly in reforming the mindsets of future political leaders that detaining a citizen on preventive grounds can only be used as a last resort, and justified only in the national interest to deal with the real threats of terrorism or serious acts of violence, but obviously not for political reasons. Most of all, such a law must be exercised justly and fairly devoid of any malice or caprice. That said, I disagree with those who hold the view that there is no justification at all to any form of preventive detention law. The most quoted words of Lord Denning in R v Secretary of State for the Home Department, ex parte Hosenball, 1977 must be repeated here that “when the state itself is endangered, our cherished freedoms may have to take second place”. But preventive detention is also morally justifiable. If harming someone is to prevent greater harm being done by this someone to others, then it is the state’s duty to prevent it from happening. Likewise, if the state is deliberately placed in a dire situation by someone to make a forced choice about arresting him as being the only way to prevent the loss of innocent lives or serious acts of violence being committed, then that can be morally justified. However, like all good laws, things can go very wrong if they are not enforced judiciously. Preventive detention is about taking away someone’s liberty without recourse to the courts, and this is no laughing matter. This explains why the courts in the US and the UK still guard this fundamental right of access to courts zealously despite the governments there having passed preventive detention laws after the 9/11 tragedy. It follows that in the proposed laws to replace the ISA, the government must balance, and balance it well, the state’s duty to protect national security with a citizen’s cherished liberty and human right of access to courts. Of course, with the repeal of the ISA and EO, our government can now stand tall on high moral ground when we speak out in international forums about human rights and detention of suspects without trial like those detained in Guantanamo Bay. But needless to say, the picture would have been more complete had the government also announced a review of the remaining preventive law – DDA. This will no doubt cause enforcement agencies and the Attorney General’s Chambers to pull their socks up in improving and perfecting their investigative and prosecutorial skills. Still, it cannot be denied that Najib’s reformist speech for Malaysia Day heralds a new era of upholding civil liberties and human rights in this country. My only hope is that there will be no anti-climax to this, and everyone knows that the government of the day cannot afford this to happen.